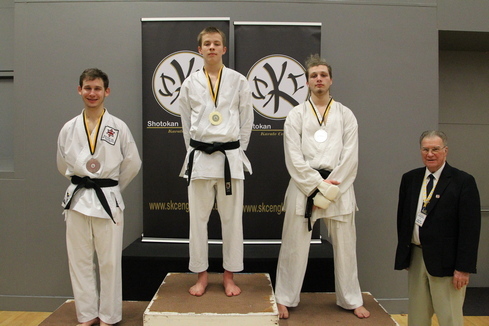 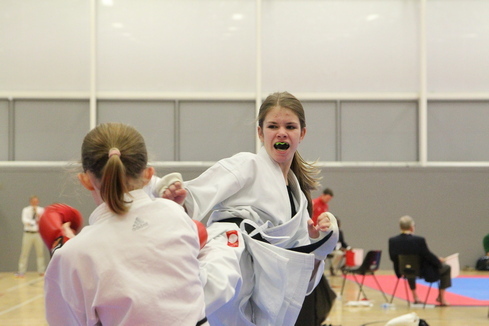 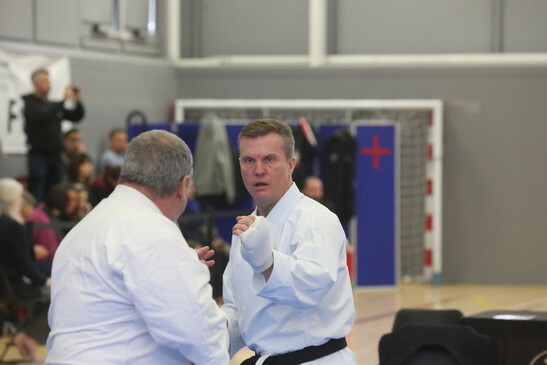 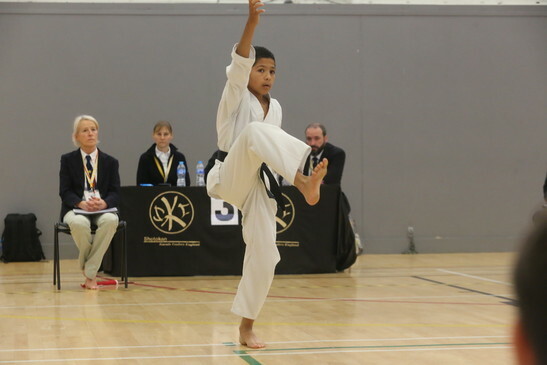 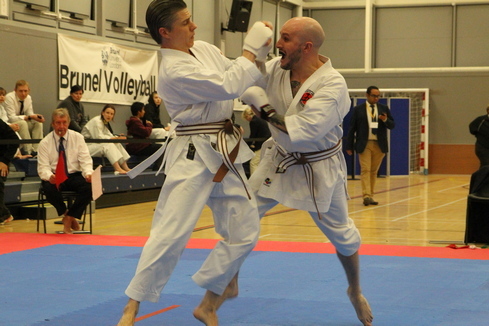 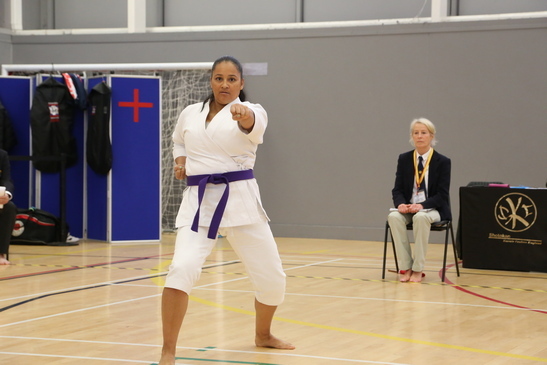 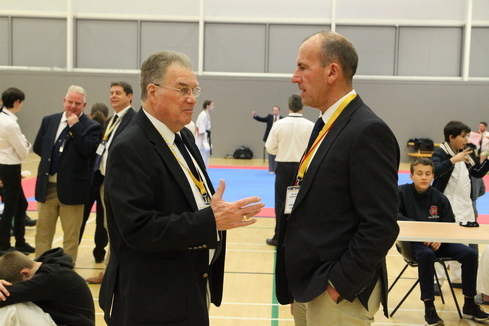 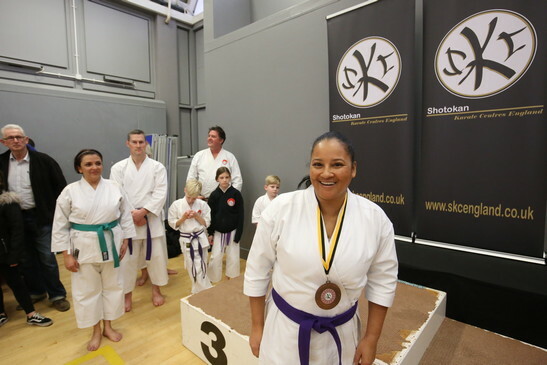 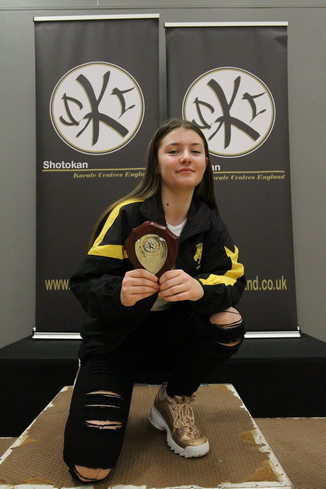 As you can see from the preceding results there was a very full and exciting programme of competition involving not only members of SKCE but also those from other invited Shotokan organisations who share similar ethos to that of SKCE. 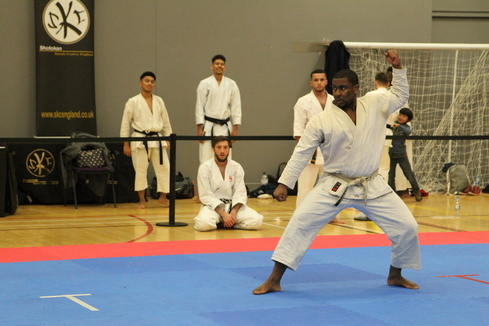 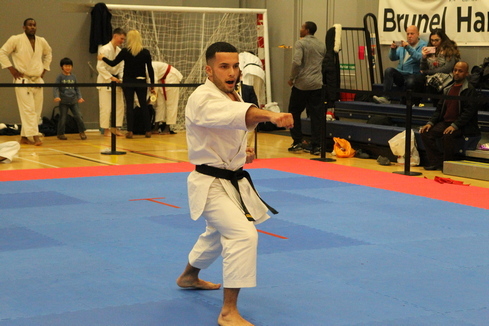 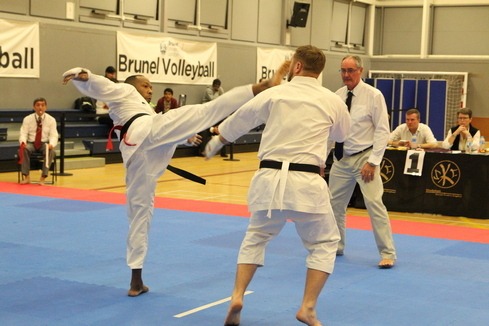 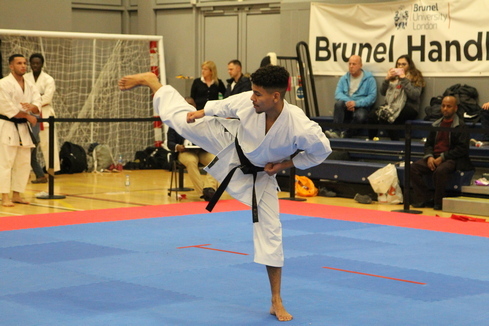 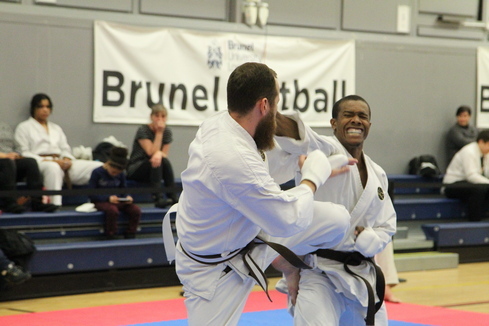 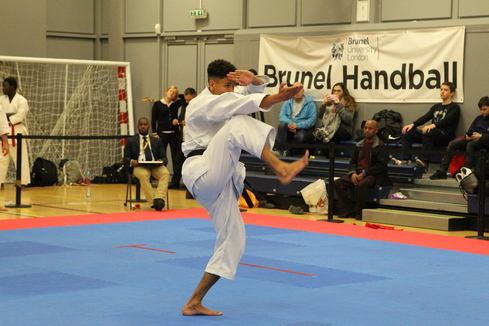 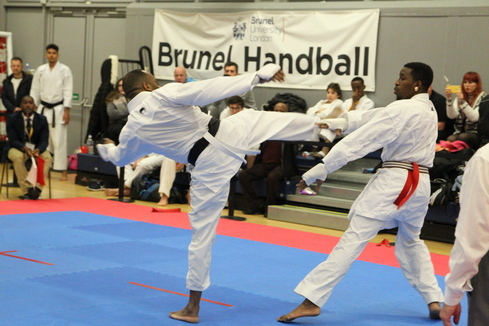 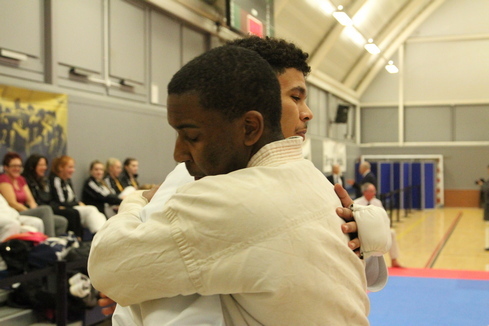 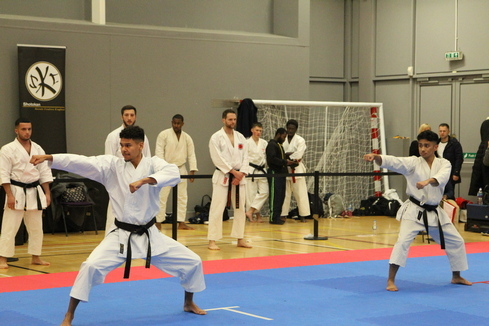 This year the Championship was held at the main sports complex at Brunel University and provided a major sea-change with fresh ideas from those adopted in the past. 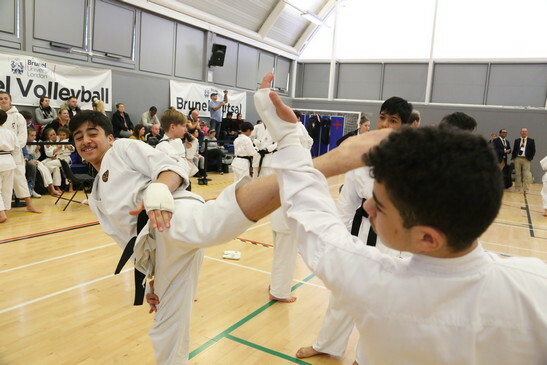 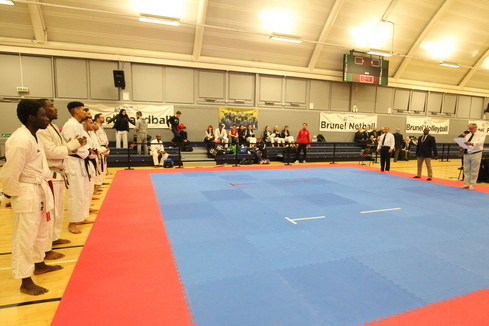 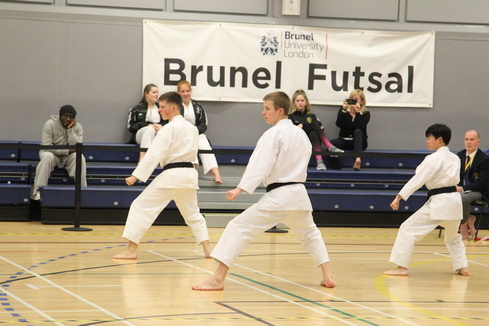 Brunel offered much better facilities for Competitors, Spectators and Officials alike resulting in a most engaging and enjoyable event. 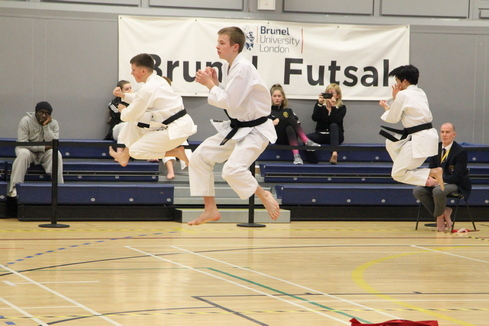 It also started practically on time, and, most importantly ended almost exactly as our estimated time. 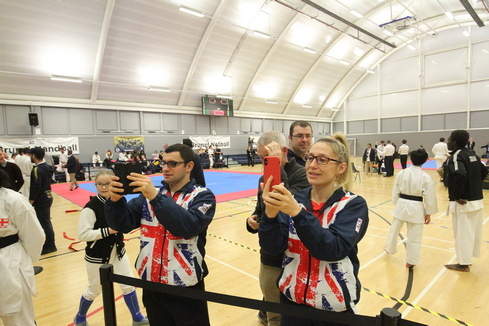 Apart from the main arena with its permanent spectator seats there was a separate Sports Hall in use for all the Competitors to register and then warm up before being ushered to their competition area a few moments before their event time. 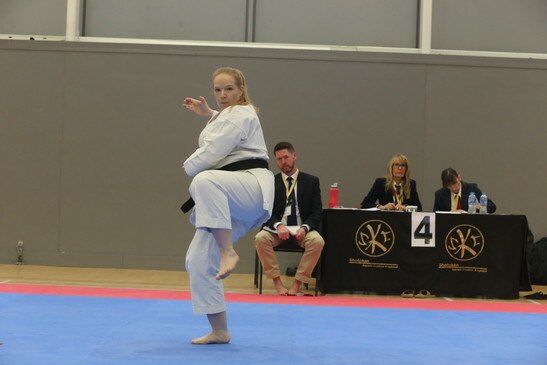 The latter worked very well and avoided the main arena ever being congested with competitors waiting for their event which always causes logistical problems and is a constant distraction to the ongoing competition. 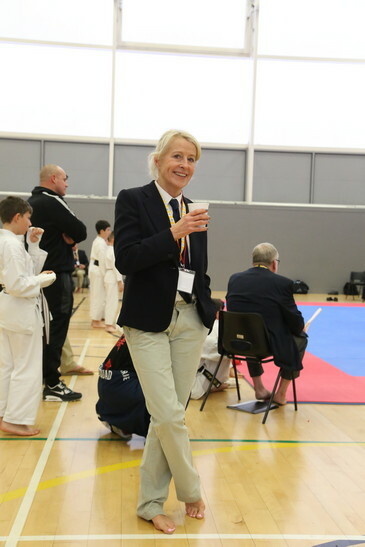 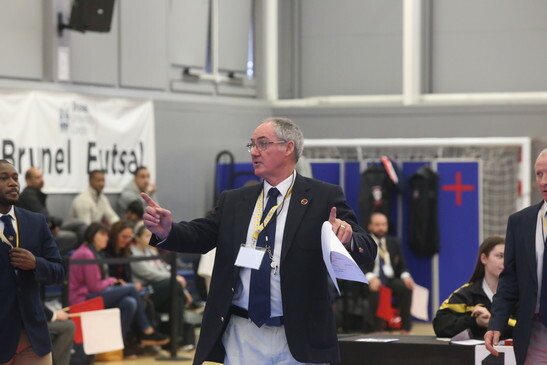 Having been involved with organising and directing karate championships over the past 42 years for the JKA, KUGB and JKAE many had proved very hard work at times and I can honestly say this was one of the most enjoyable and comfortable events particularly due to the weeks of hard work put in by my fellow organisers Sensei Eric Pich and Tami Wilmot. 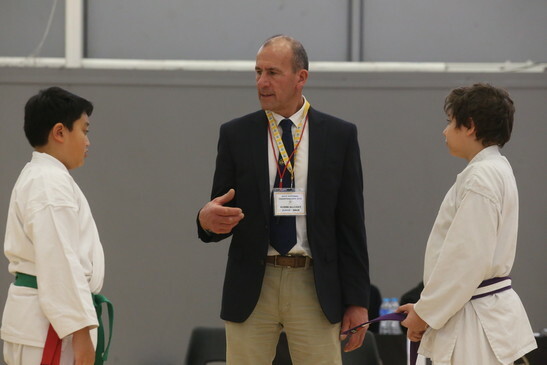 Together with the assistance of those volunteer Timekeepers, Helpers and Referees and Judges from SKCE and the 8 other Shotokan organisations who very much contributed to the overall success of these 2018 SKCE Championships. 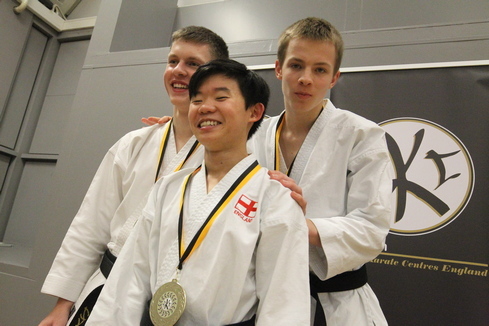 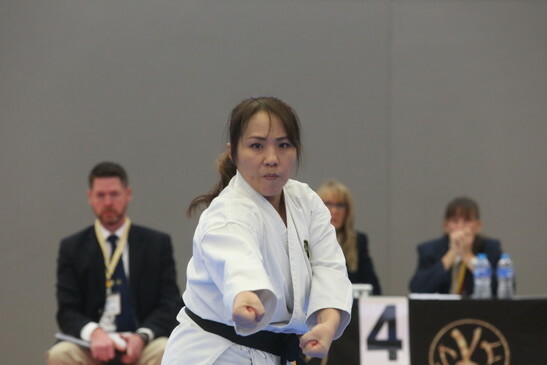 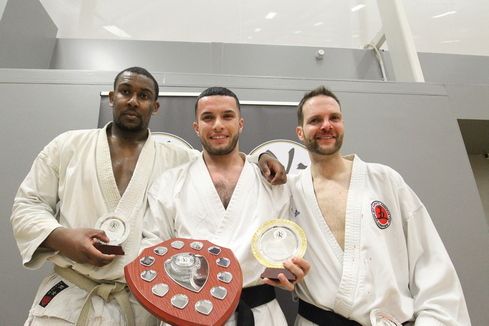 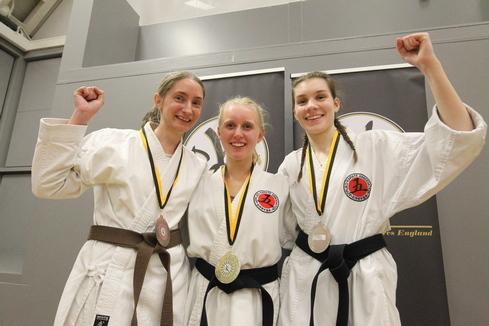 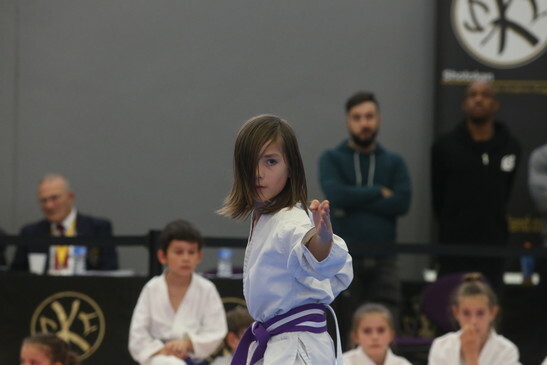 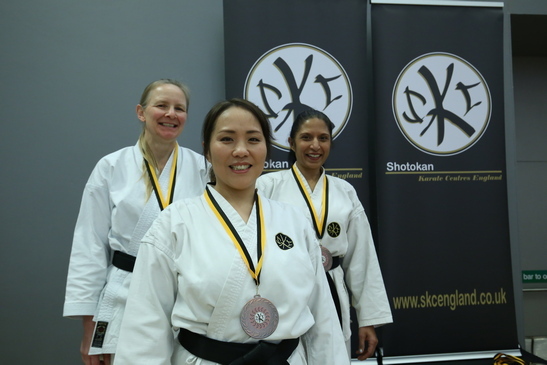 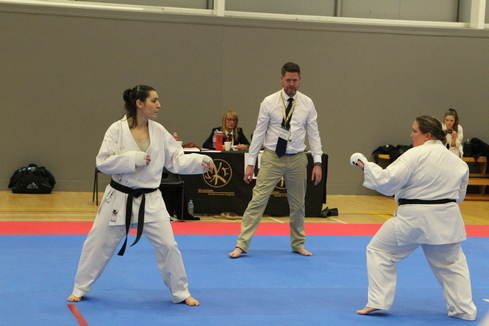 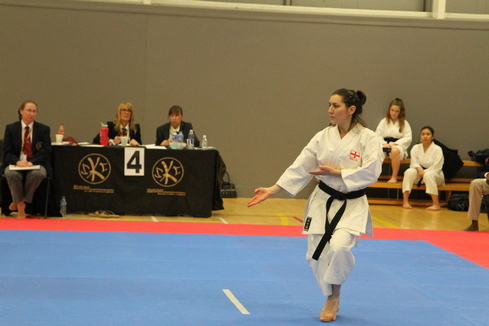 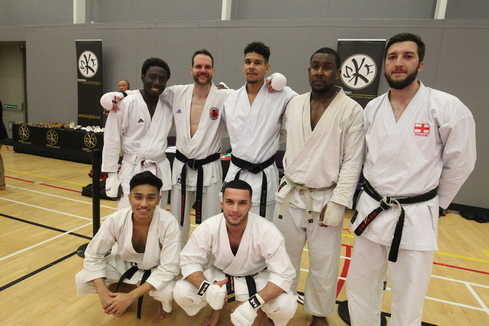 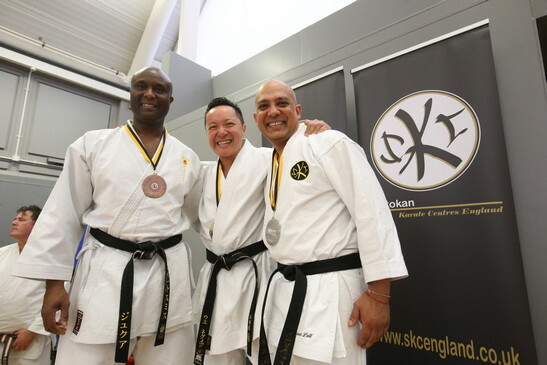 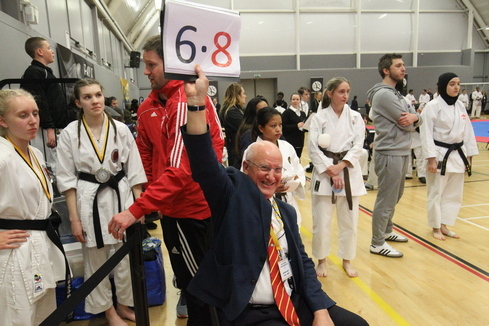 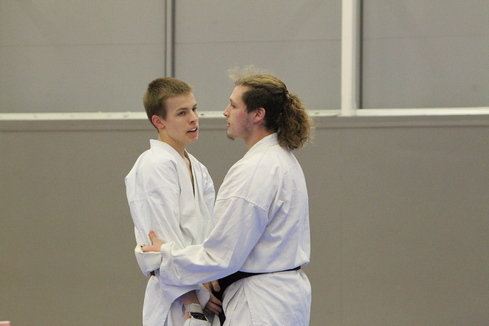 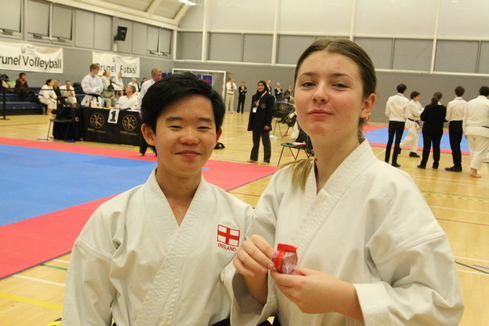 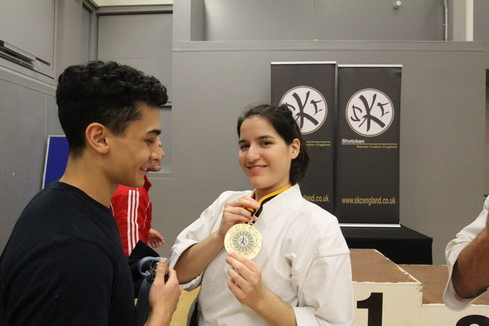 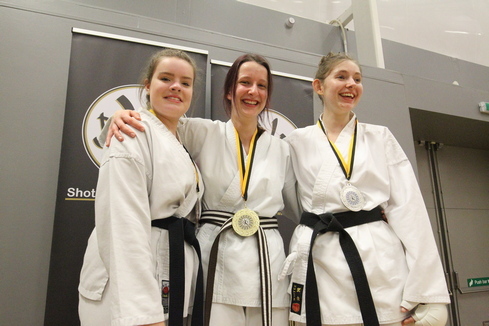 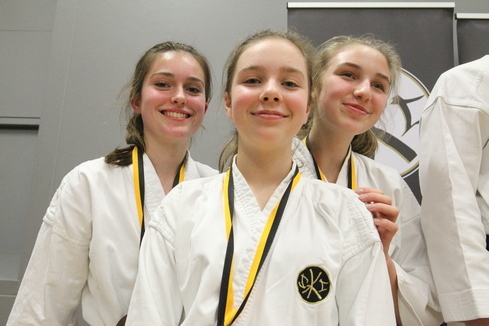 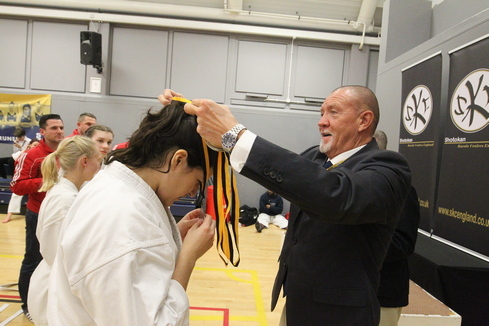 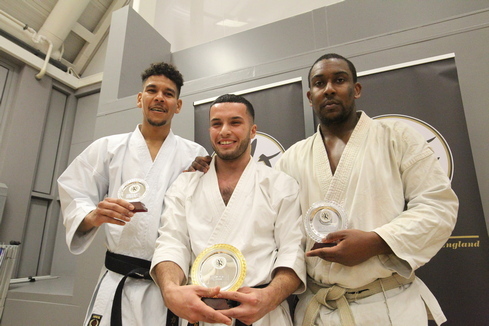 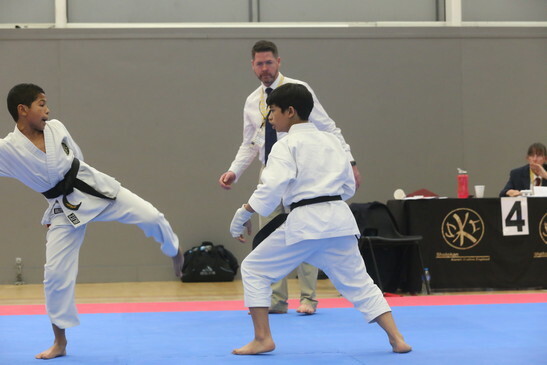 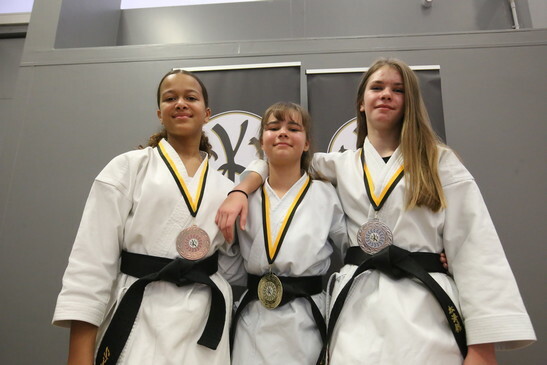 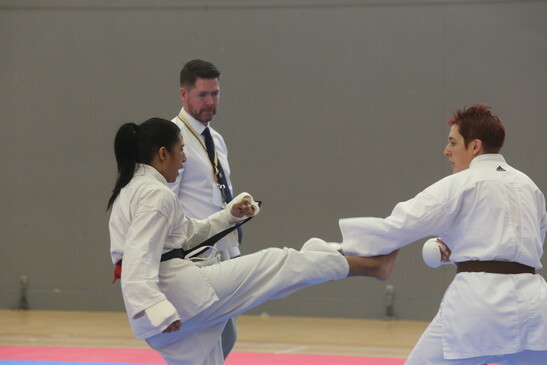 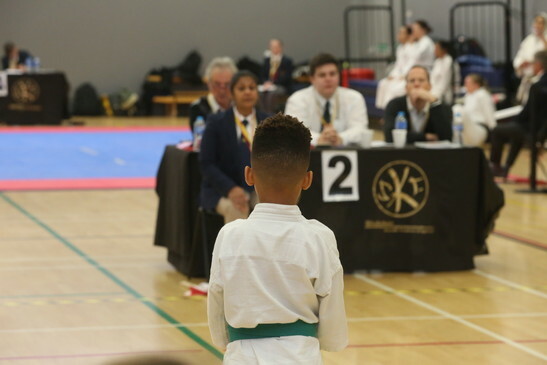 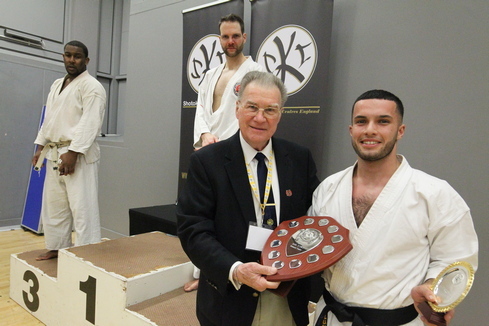 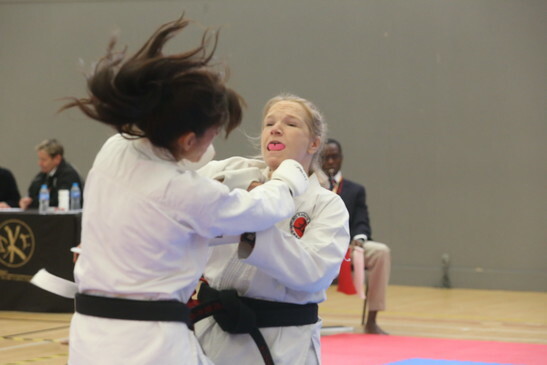 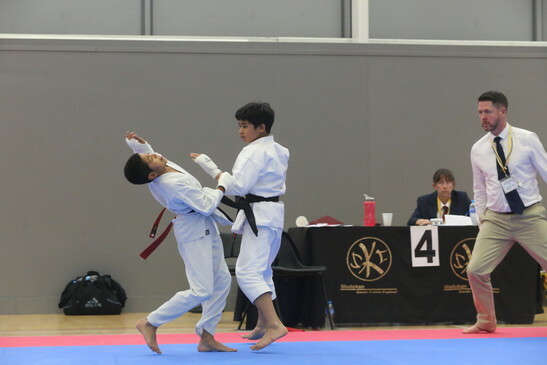 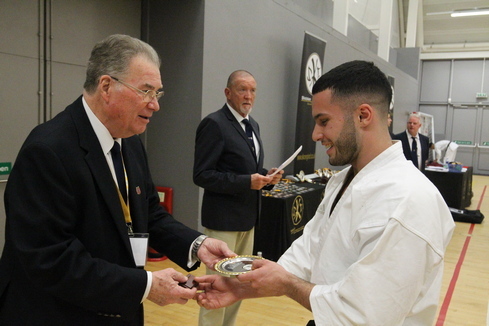 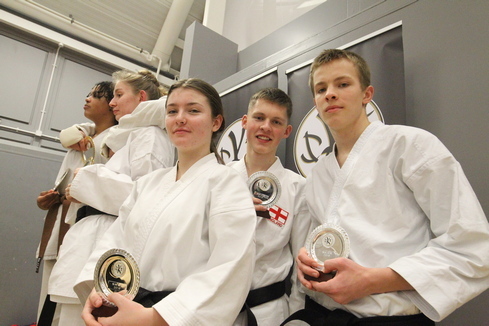 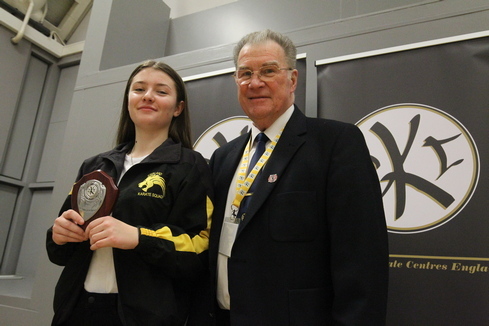 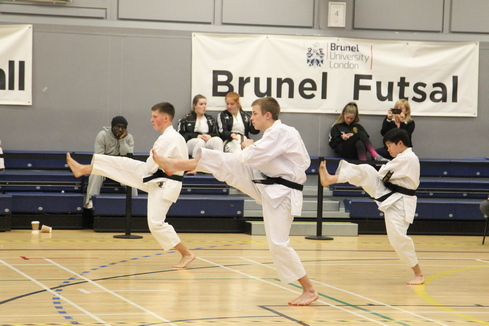 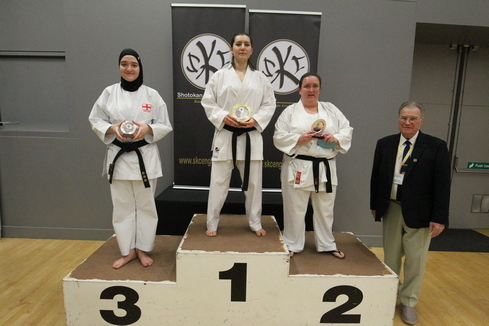 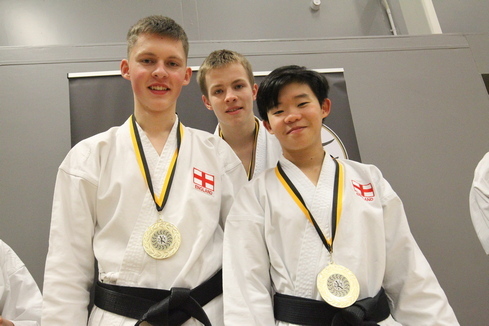 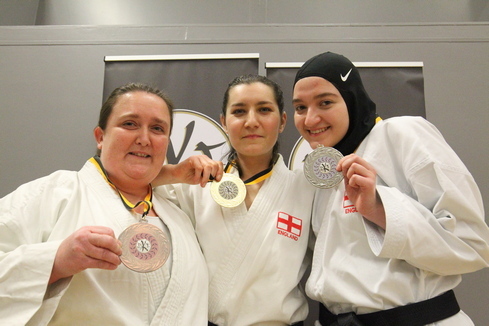 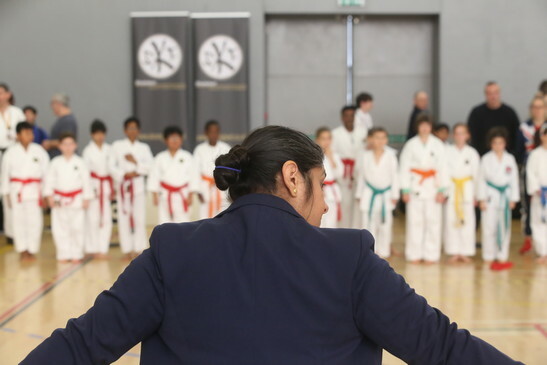 In particular the contribution made by their Senior Referees benefitted greatly by producing consistent scores for the various katas based on the accepted Shotokan principles as taught by Sensei Nakayama, Enoeda and other Senior Japanese masters. 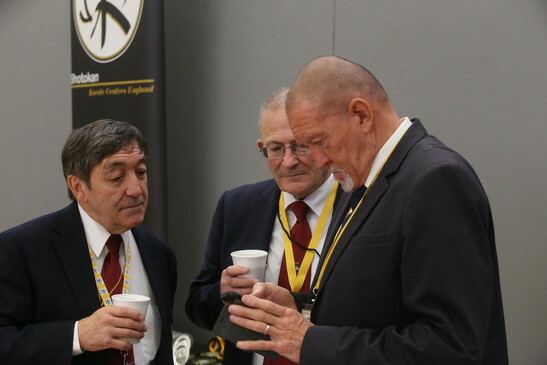 We know from the feedback received from many of those who attended that they also appeared to have enjoyed the event, and, we very much look forward to repeating the success at the same venue next year (date to be announced). 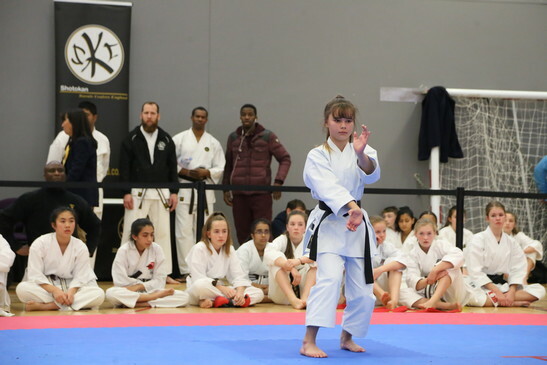 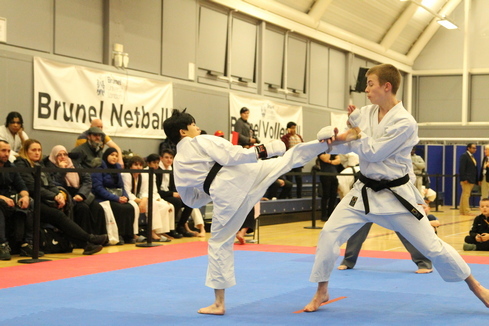 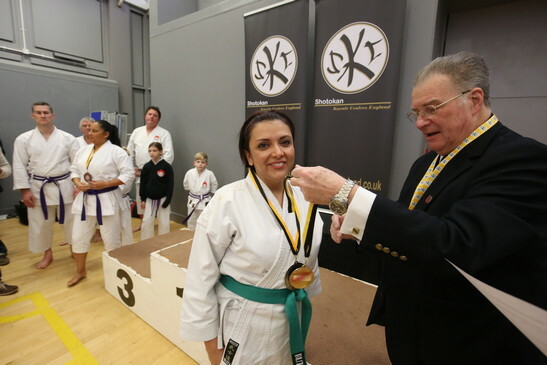 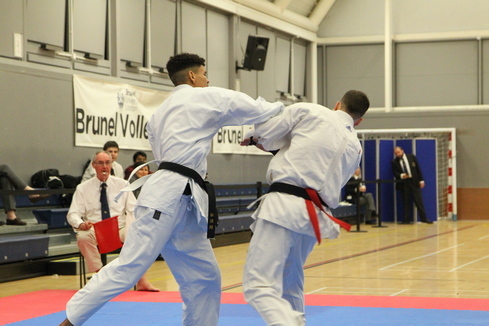 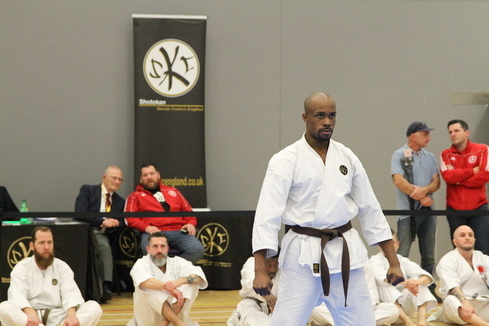 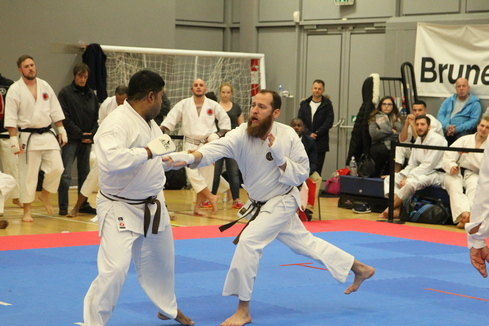 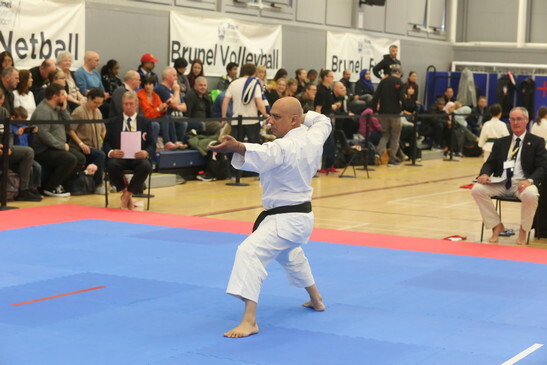 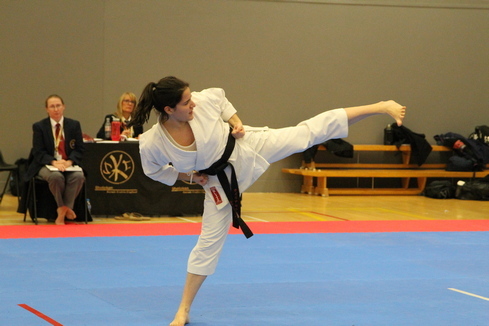 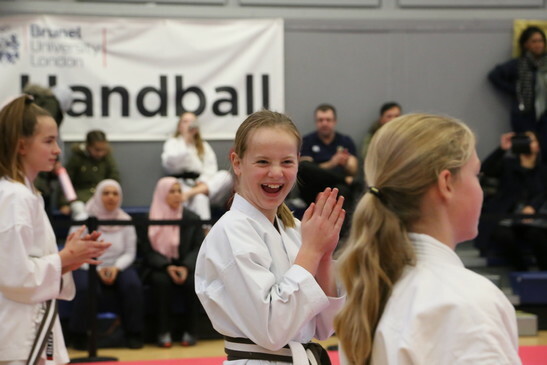 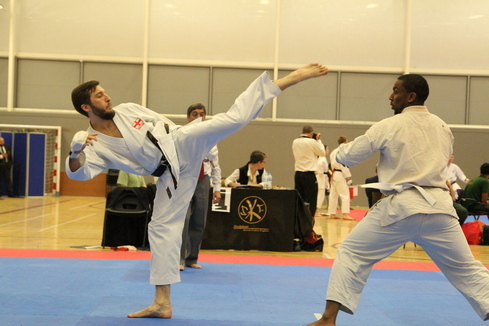 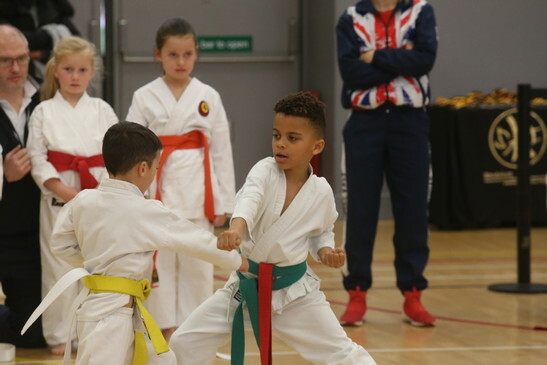 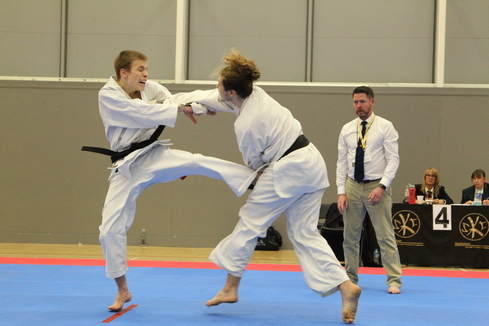 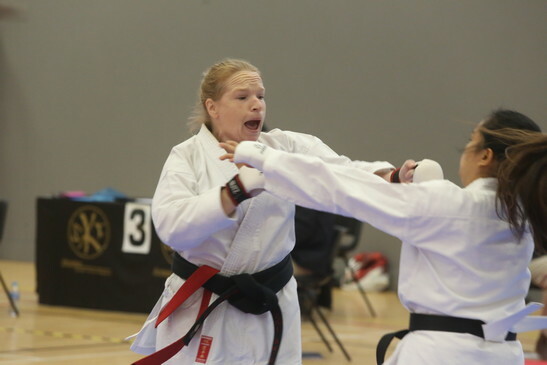 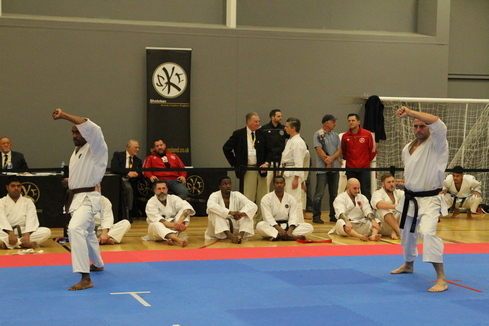 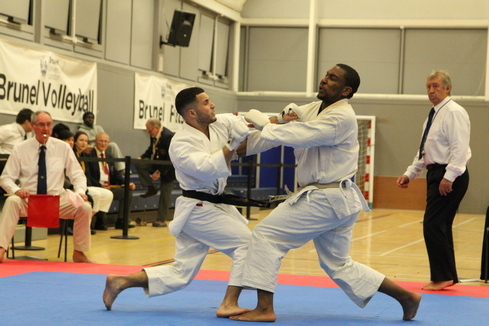 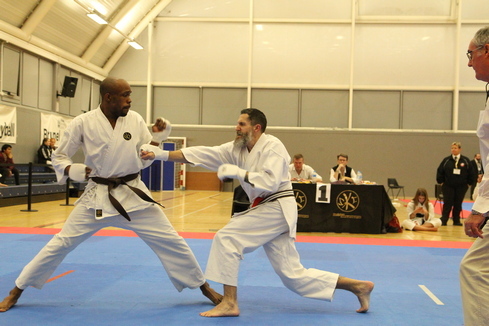 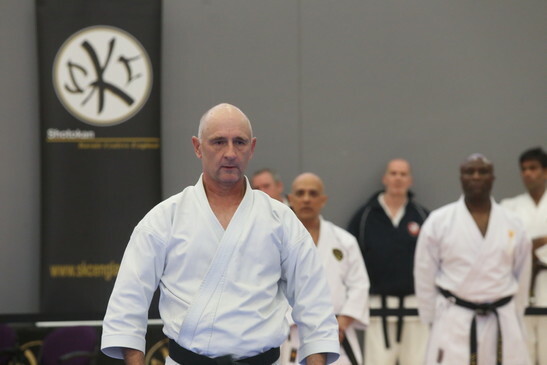 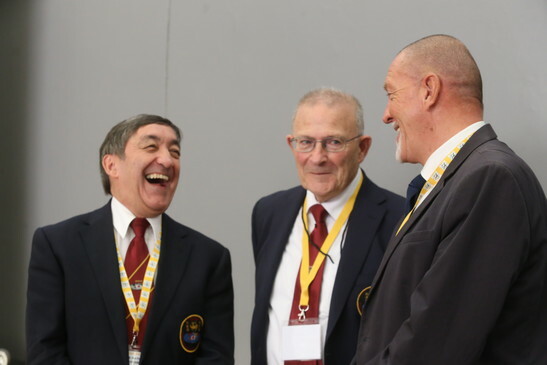 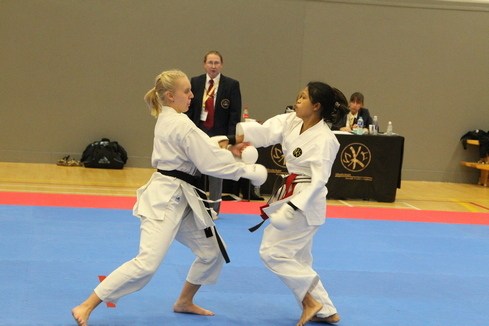 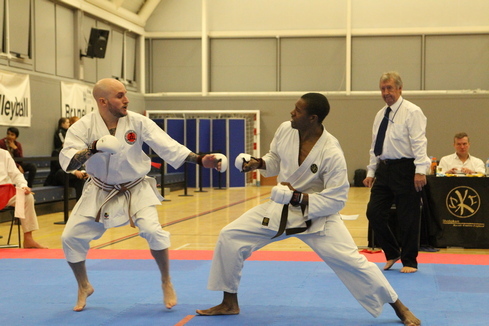 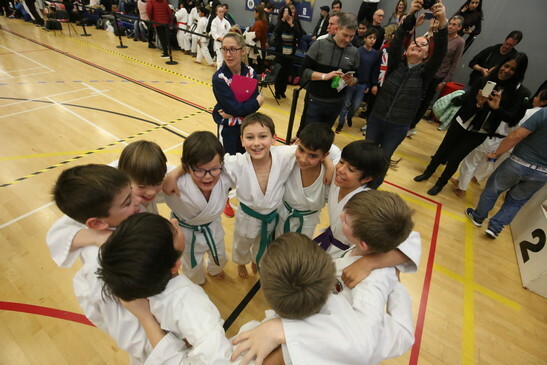 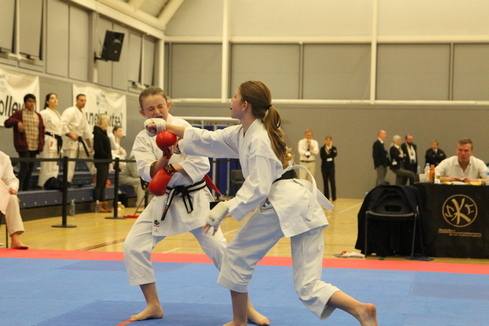 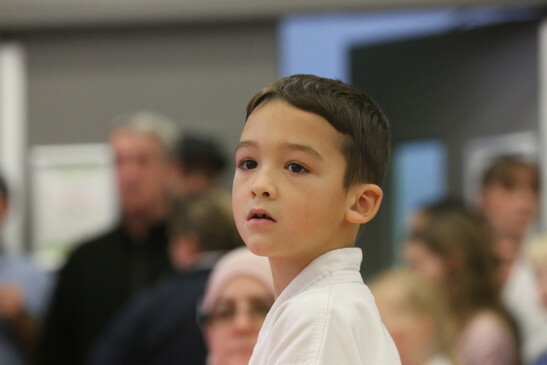 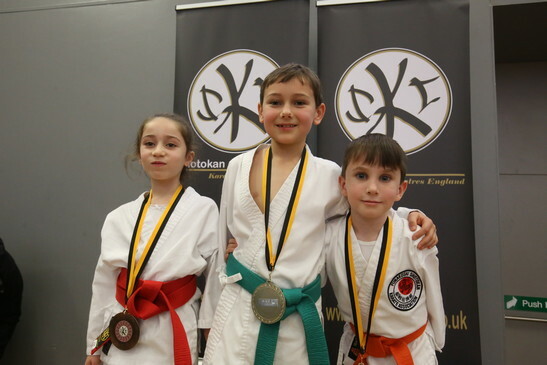 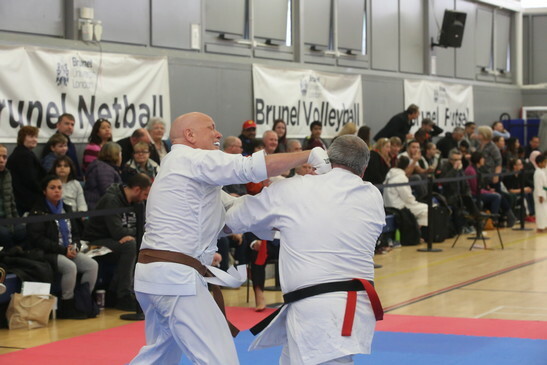 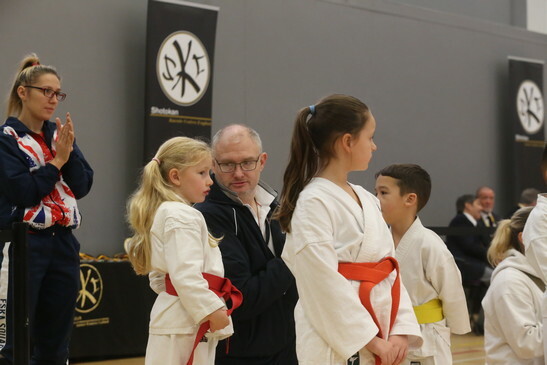 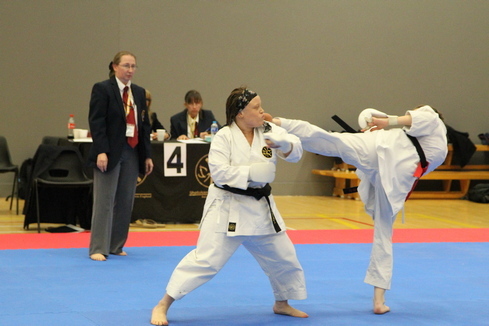 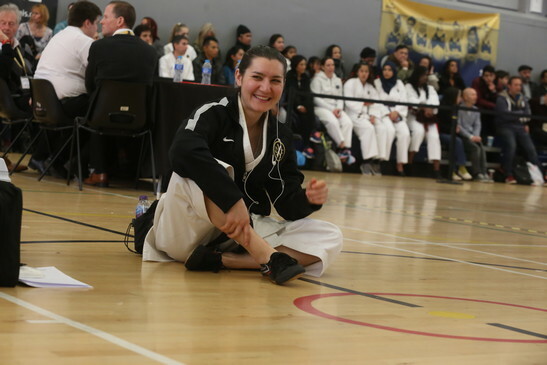 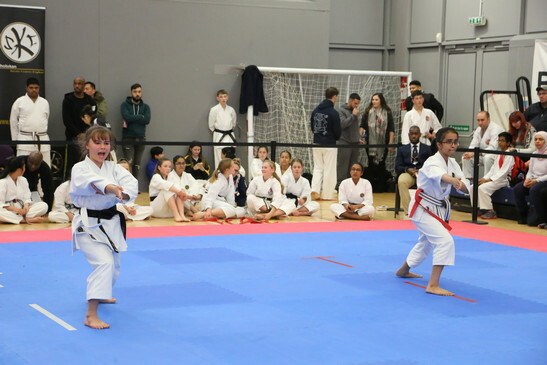 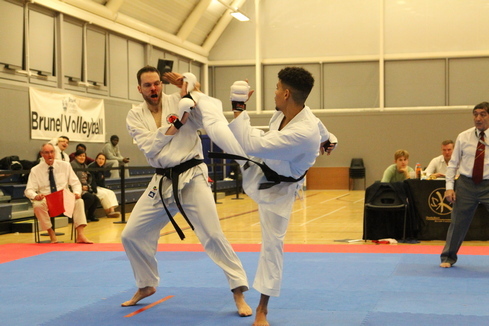 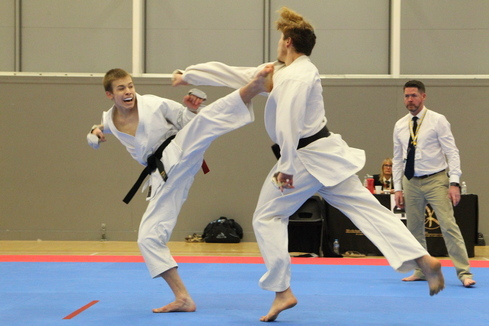 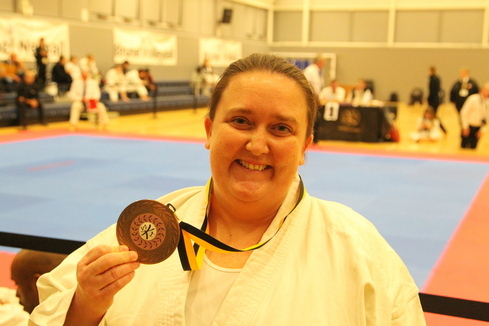 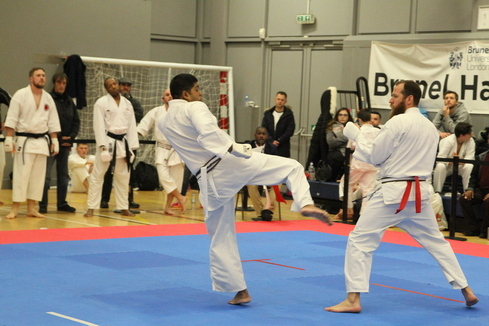 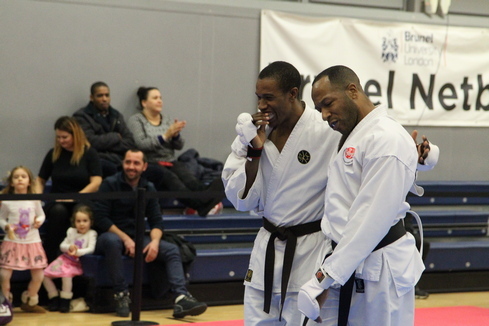 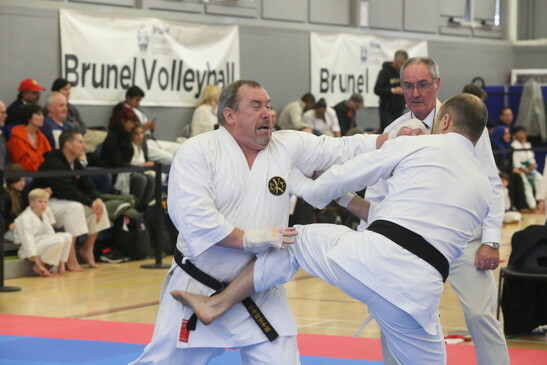 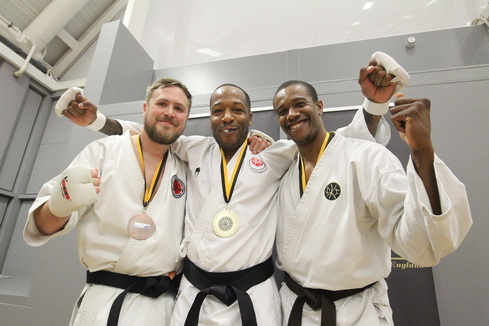 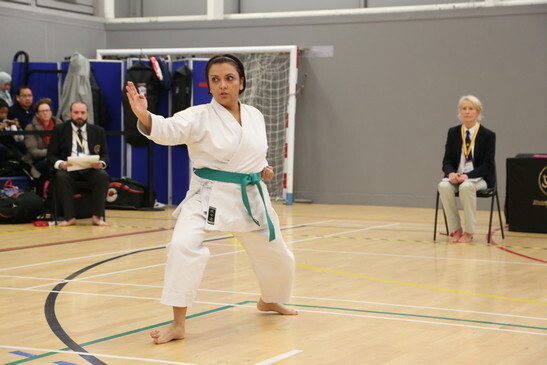 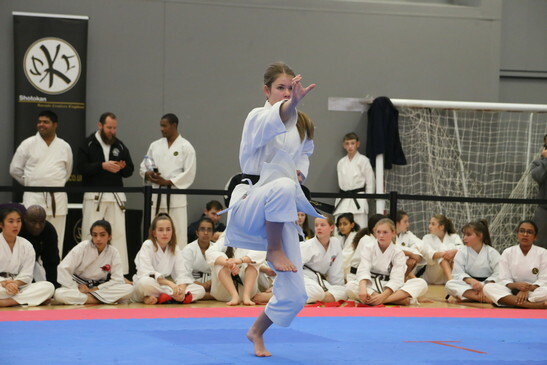 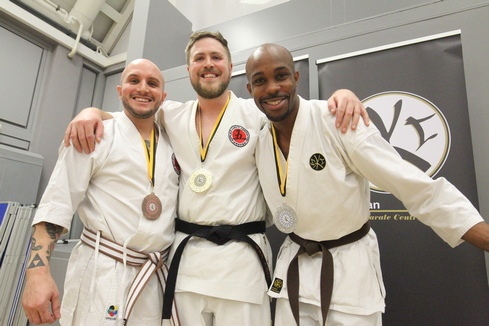 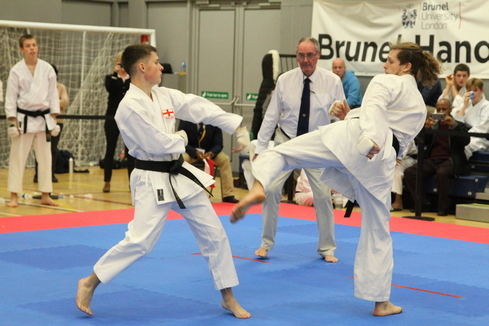 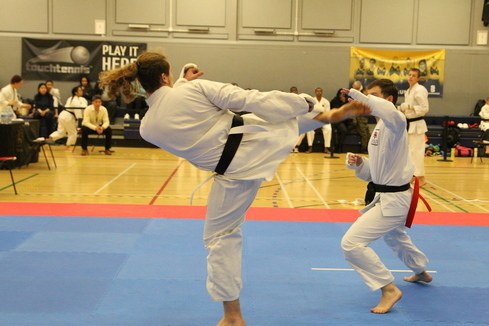 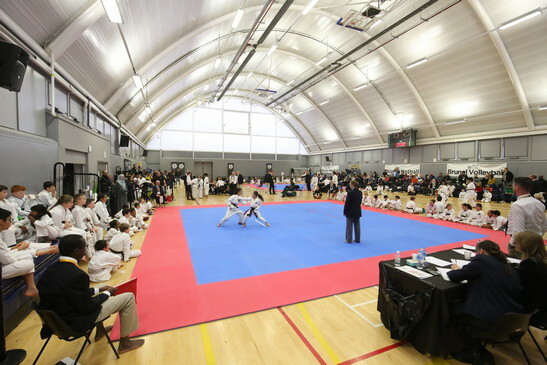 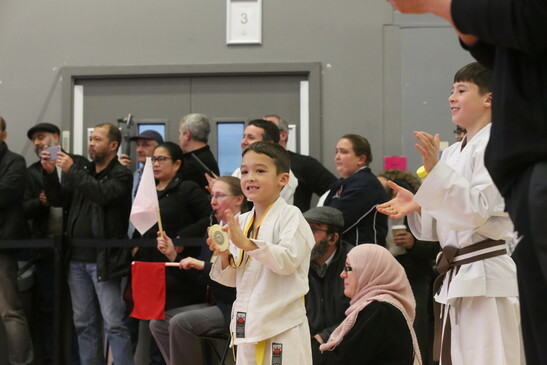 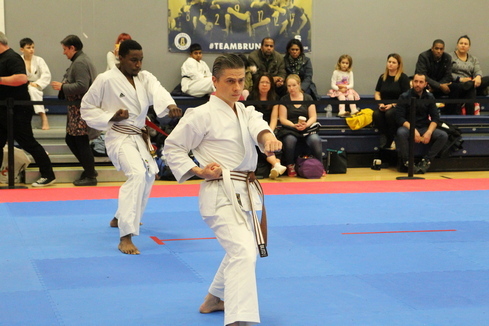 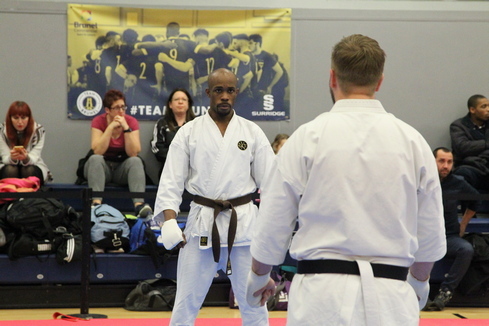 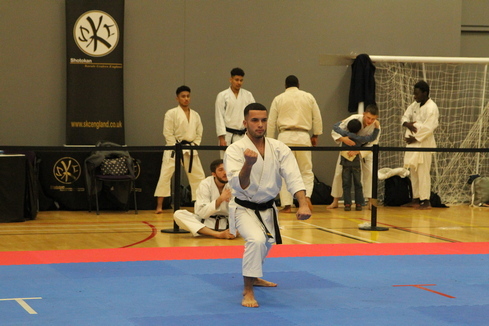 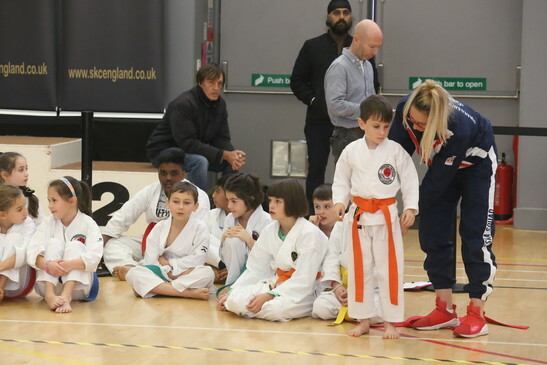 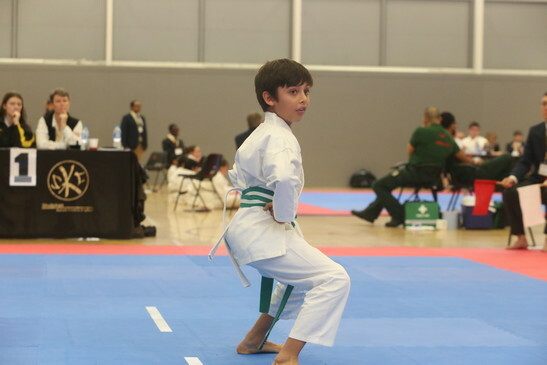 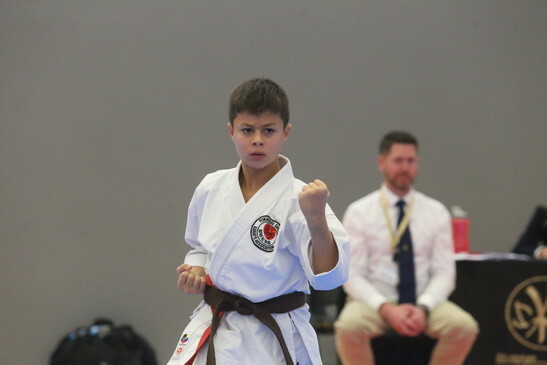 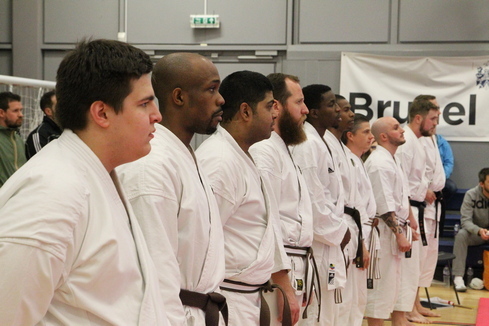 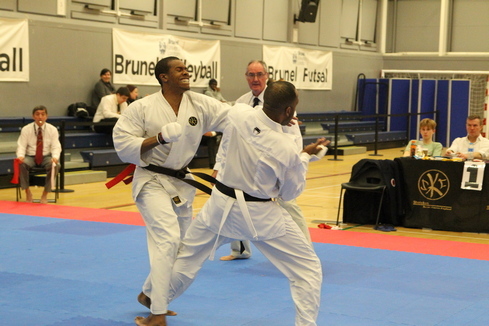 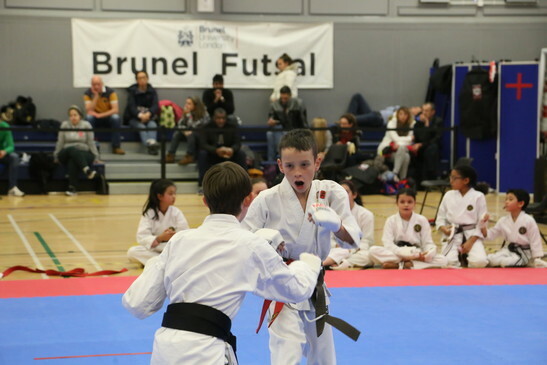 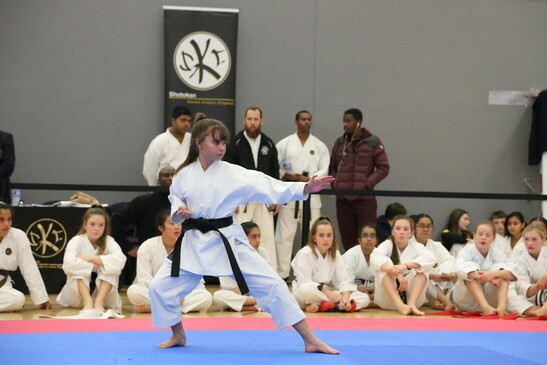 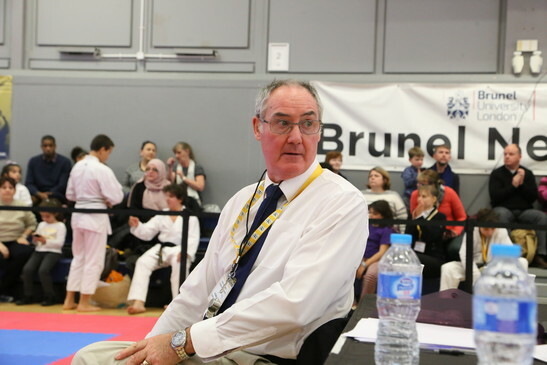 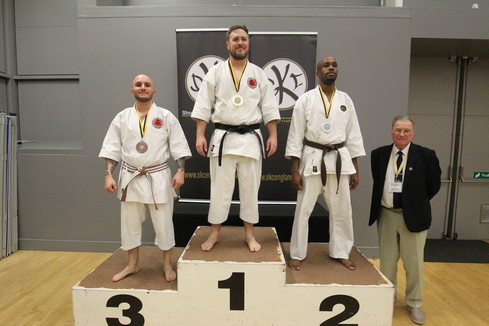 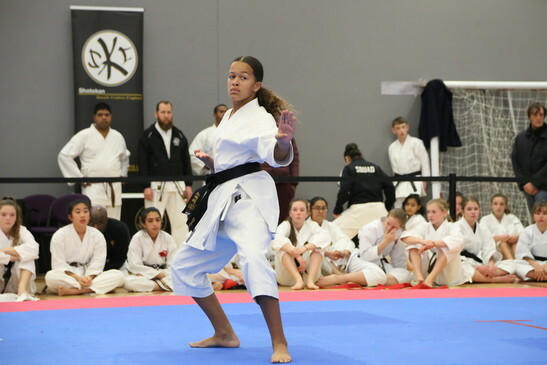 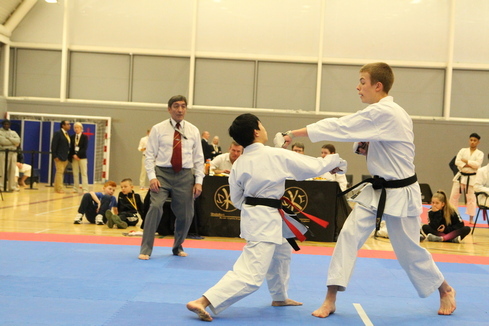 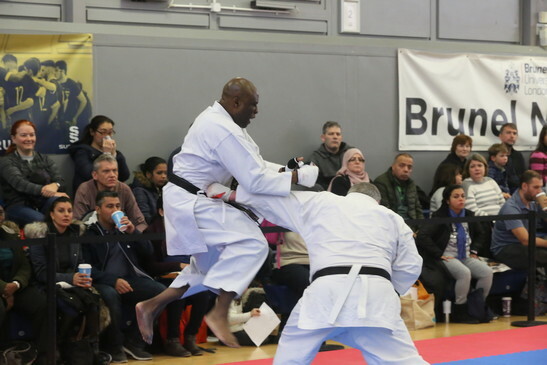 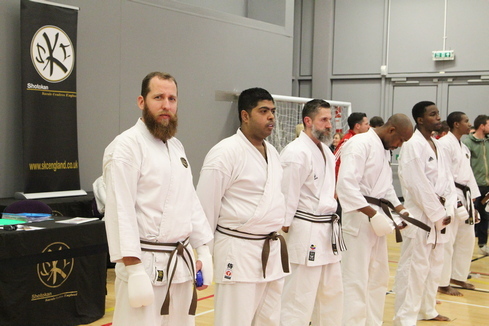 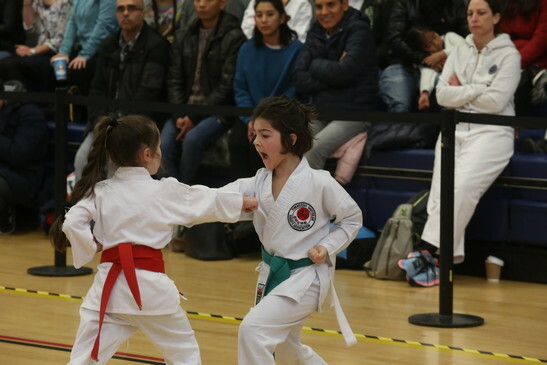 In all there were just over 600 competitors participating in 62 individual and team kata and kumite events from very young children aged 6 years to the over 40’s veterans some up to 70 years old ranging from beginners to Senior dan grades. 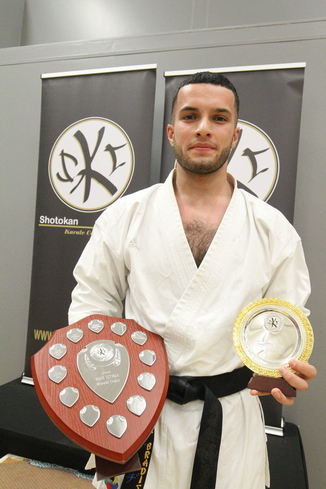 Congratulations to the Sensei Mark Tetsola memorial award recipients which this year was presented to Luke Bradish, from the Kilburn group of clubs, who became Senior Mens Kata and Kumite Champion, and one of Sensei Marks’ original SKCE students, and, this year a new award to the best Junior SKCE competitor which was won by Jodie Harris from the Anglia group of clubs for her endeavours achieving 4 golds and a silver medal in events. 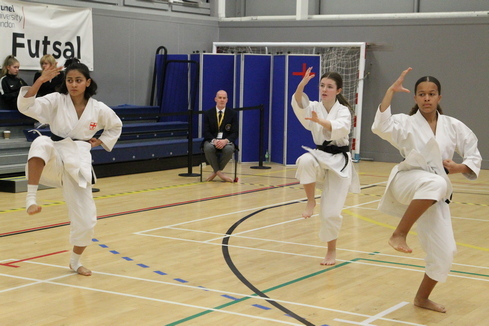 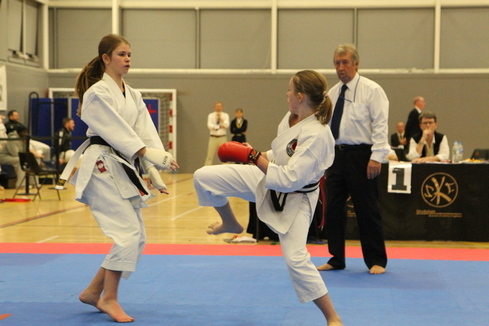 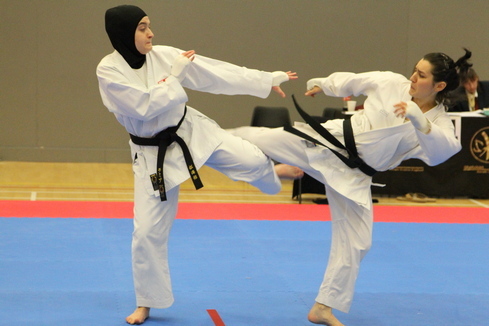 They both performed excellently and above all executed good quality Shotokan Karate. 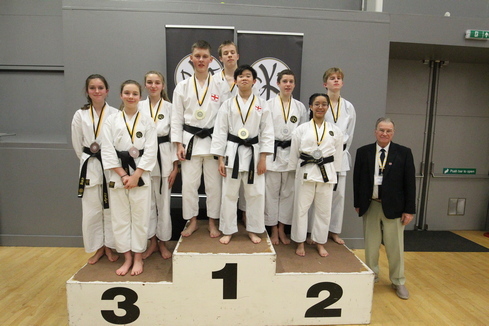 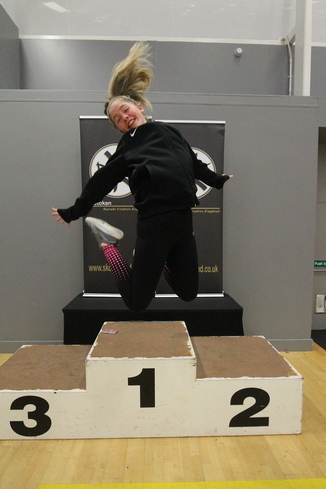 Congratulations also to all those who took part and especially to those of you who achieved medal places. 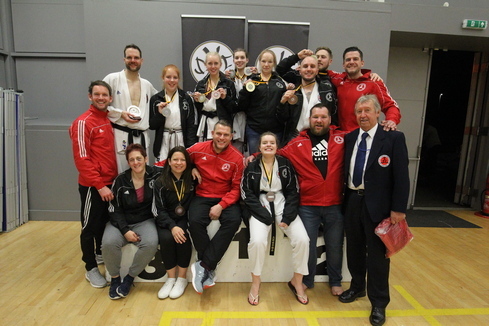 Overall it was a very good day with keenly fought competition and all can be justly proud of the contribution they made to a most successful championship. 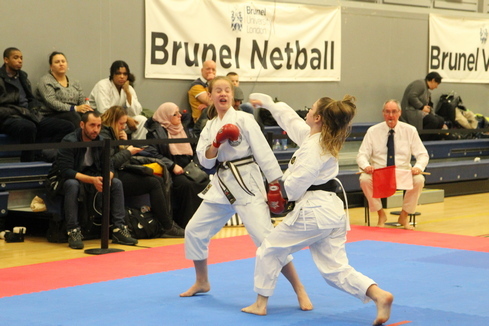 A special thanks and appreciation to all our friends from the invited organisations and their officials who took part for helping to make our first championship at this new Brunel University venue our most successful Nationals so far ! 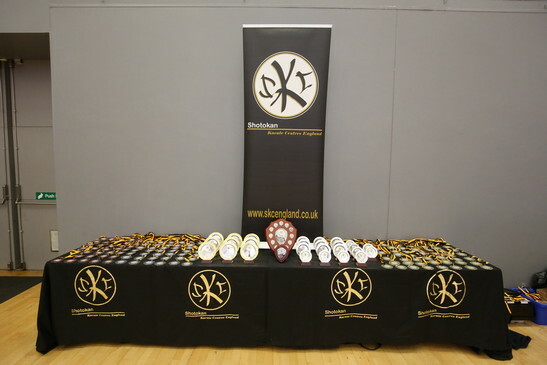 We confidently expect there will be many more to follow. 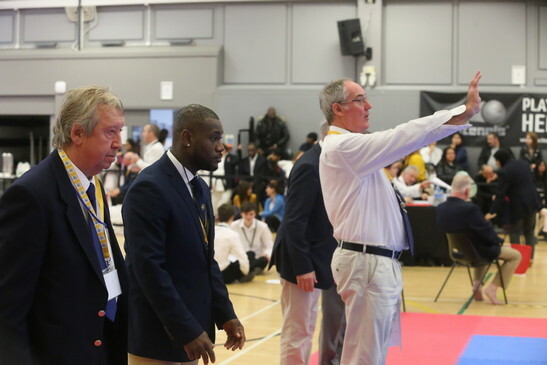 NOTE: If you are interested in obtaining any of the photographs taken on the day, please email our photographer, John Deehan on johndeehan@aol.com. 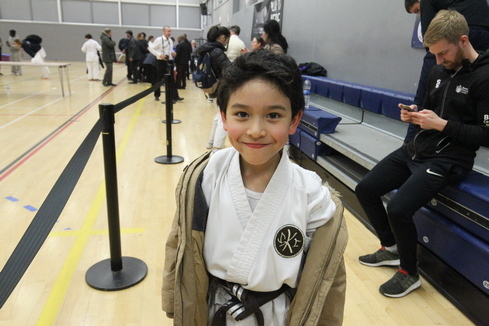 He'll be happy to send you a link to the photo library.